By now, you’re probably well aware of what makes a chair ergonomic but you might still be wondering why you should be using one. 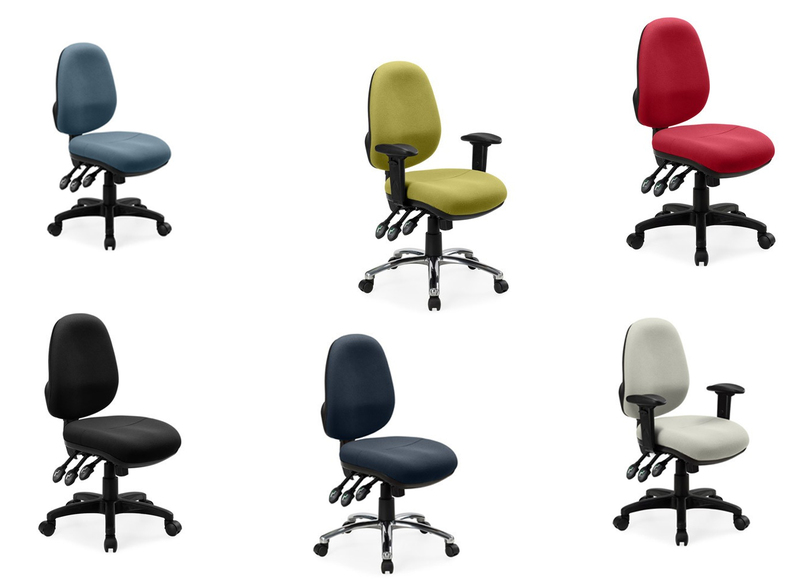 Although there are plenty of reasons why you should use ergonomic chairs, we have decided to focus on 5 of the main ones – comfort, custom fit, health benefits, quality and style. Many of us spend hours sitting at our desks – the chair that felt comfortable during the 2 minute test at the store can start to feel different after 2 hours. A variety of materials can be used in the manufacture of seating, so you can rest assured that you’ll be able to find one that you think is most comfortable for extended periods. Always trial a chair for a full day, don’t just make a decision on sitting on it once in a showroom. If you’ve been putting up with a standard office chair for years, you’re probably going to feel spoilt at first with an ergonomic one because of all the different ways it can be adjusted. You will be able to adjust the height, seat depth, lumbar support, backrest and even the arms to suit the exact specifications dictated by your body. A chair that costs $100 is not going to offer you the same quality as one that costs $400. As the manufacturers of cheaper models don’t tend to offer much of a warranty, it’s better to pay that little bit extra and get something that will suit your posture. Many companies claim to have ergonomic chairs, but are they really ergonomic and do they really suit your needs? It’s important to note that the features of these chairs aren’t just for comfort – they also bring health benefits to the table. Letting your arms rest at a 90 degree angle, for example, reduces shoulder strain and the resulting neck pain. Many of the health problems that have plagued workers for years can be alleviated or prevented. Just because the chair is well built and comfortable doesn’t mean that it cannot also be stylish. There are plenty of ergonomic options to choose from, each more attractive than the last. Whether you’re going for a clean modern look or something a bit more classic, you’ll be able to find exactly what you’re looking for on the market. As you can see, there are a number of reasons why you should invest in ergonomic chairs for your office. Not only will they ensure your comfort across the working day, they can be customised to suit your body and offer all sorts of health benefits. On top of this, they’re of exceptional and lasting quality that looks a million dollars. You really cannot go wrong!